A World Town Planning day commemoration conference was presented by UKZN’s School of Built Environment and Development Studies (BEDS) in partnership with eThekwini Municipality, the South African Council for Planners (SACPLAN) and the South African Planning Institute (SAPI KZN). UKZN staff and other delegates at the Town Planning conference. Every year on 8 November, Town Planners around the world celebrate the day presenting an opportunity to look at planning from a local and global perspective and celebrate the profession’s achievements as well as showcase planning evolution. The conference was aimed at reshaping the role of planners in driving spatial transformation and giving information and support to BEDS students. The conference – themed: The Making of Modern African Cities – Quest for Radical Spatial Transformation – also attracted a number of senior planning officials from both the private and public sectors. 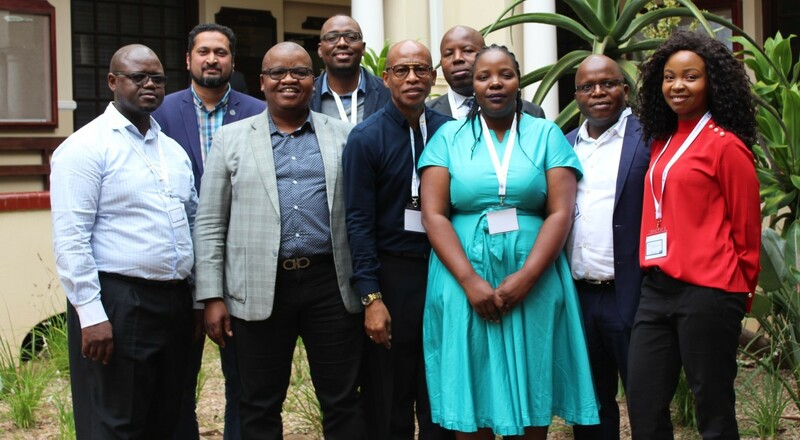 Dean and Head of the School Professor Ernest Khalema noted that ‘planners must make contributions to the land debate’, further highlighting the role of planners in South Africa’s projected new land policy. 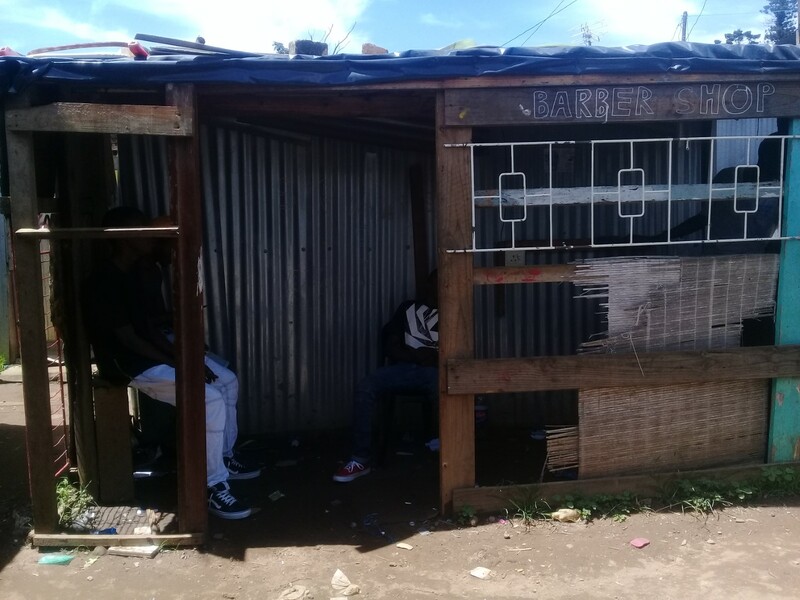 UKZN lecturer Dr Koyi Mchunu argued that ‘planners need to focus on space co-production where the formal and informal can co-exist in a coordinated manner’. Mr Musa Mbele of the eThekwini Municipality noted that ‘informality is part of our struggle but it cannot be accepted as a norm’. The School of Built Environment and Development Studies in partnership with the residents of Quarry Road West (QRW) informal settlement and the Urban Futures Centre at the Durban University of Technology hosted a photovoice exhibition showcasing photographs taken by residents as part of a broader Narratives of Home and Neighbourhood: Reimagining Urban Planning Project. 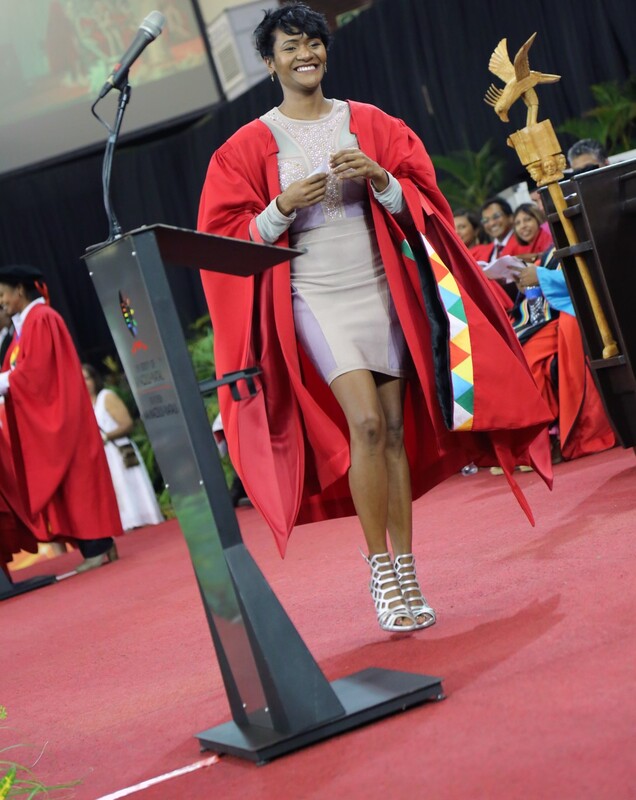 Operations Manager in the School of Built Environment and Development Studies, Dr Phumelele Zakwe, graduated with her PhD in Business Administration. 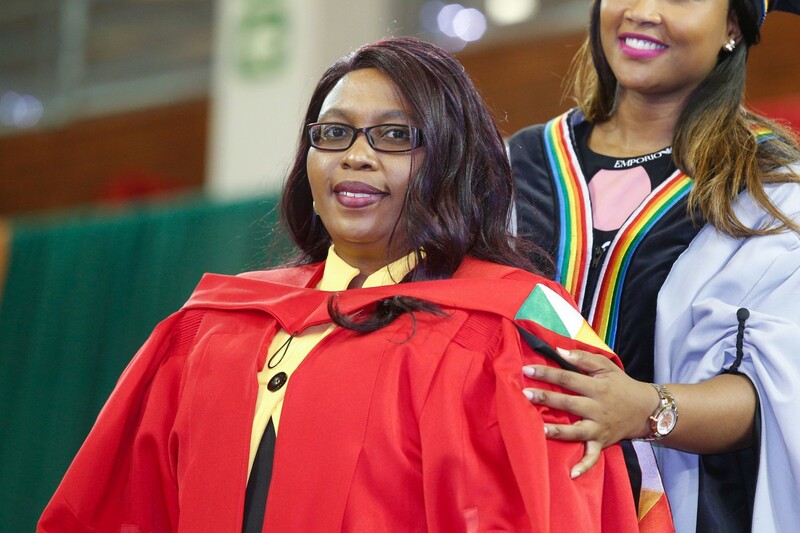 UKZN staff member Dr Zifikile Phindile Shangase received a PhD in Public Health for her study on the knowledge, attitudes and beliefs of drug resistant tuberculosis (DR-TB) patients with regard to smoking; the barriers to cessation among current smokers with DR-TB and hospital staff’s knowledge, attitudes, beliefs, and practices with regard to smoking.